"When life hands you the unexpected, you have a choice: wallow, or rise." 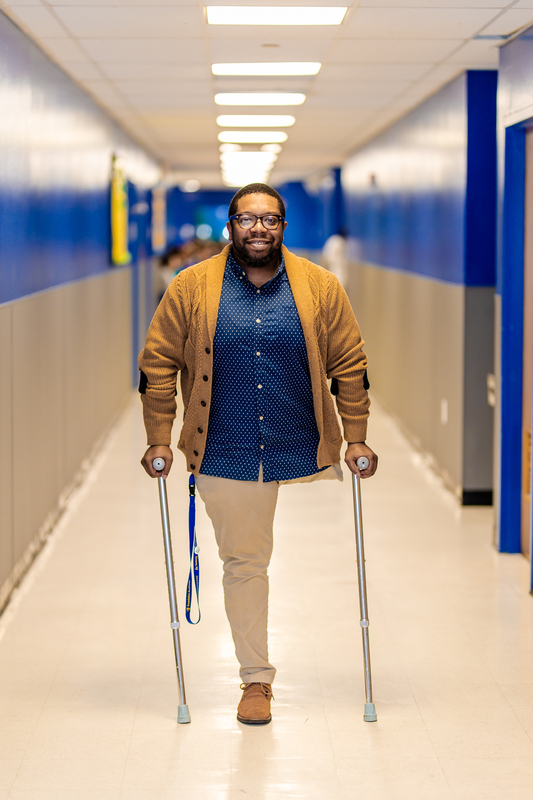 For history teacher Christopher Henry, what others may have viewed as a tragedy, he viewed as an opportunity – an opportunity to show his students that with the right mindset, anything can be overcome. In March 2017, Henry was hit by a drunk driver while he was getting into his car. His leg severed from his body, and he spent weeks in an induced coma in the Intensive Care Unit. His doctors said it would take at least six months before he could move from the hospital to rehabilitation. Henry split the odds in half. What kept pushing him to recover faster? The eighth-grade Recommitment Ceremony – an event similar to graduation in which students recommit themselves to the goal of college. “I didn’t care what I had to do; I was getting there – for the kids,” Henry says. Henry returned to the classroom five months after the accident occurred. Within his teaching is a fierce sense of determination and passion for his subject and for his students. After all, he says, it’s the least they deserve. It would be easy to quit. It would be understandable to move on to a different vocation, given his physical limitations. However, quitting was never an option. Why? Henry says quitting can’t be an option for his kids. There’s too much at stake. Like students in Trenton, Henry grew up in an urban education system. 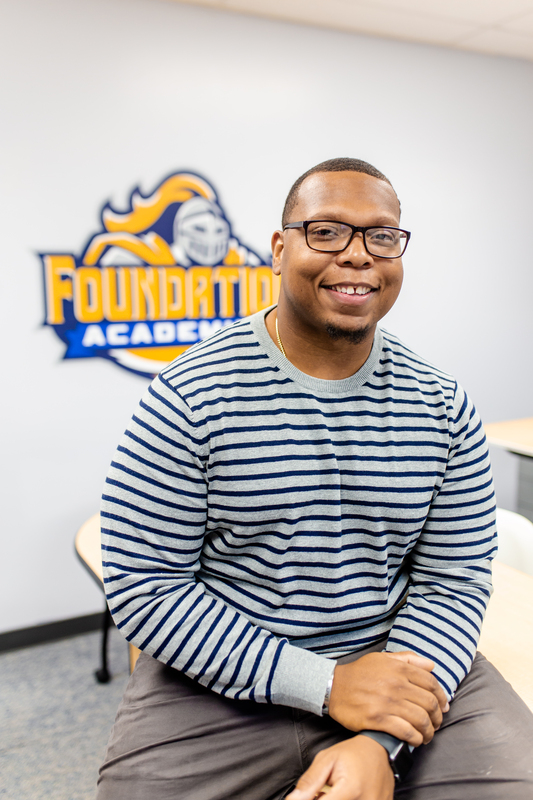 At Foundation Academies, one pillar of the school’s success is the drive to be solutions-oriented. Problems are only problems until they are solved. So when Henry’s accident occurred, the staff and students alike joined forces to be a support system. They sent cards. Flowers. Notes. Books. Poems. Donations. In fact, many students and staff were present at the rehabilitation facility when Henry proposed to his girlfriend. Literally the day I woke up, it was to a window full of hand-written cards, messages, and I couldn’t see out the ICU window. Seeing my school family lifted my spirits because you can think of 1,000 situations how it could’ve been different,” he says. “Foundation did everything in its power to help me through the situation – my mom considers them part of our family now,” he chuckles. Looking back, Henry acknowledges he’s always been a relatively positive person. A “let the chips fall where they man” kind of individual. When it comes to inspiration, it’s easy to shine when everything is conducive for you to be successful. The real test, he says, is adversity.